The second entry into a series – be it in terms of a film, book series or here, a ‘season’ – is always very important because both developers and fans are looking to see if that magic, power – awesomeness, whatever you want to call it – can be retained in a second instalment. 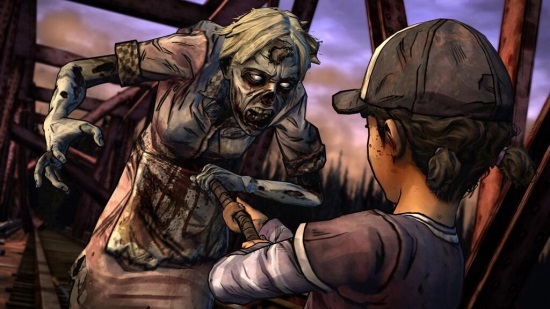 Telltale Game’s first season of the hit comic series and TV show The Walking Dead was harrowing and brutal and most of all, it was engaging and powerful storytelling that was just as engrossing, if not more so, than the TV show or comic. They kept that powerful storytelling up here with Episode 2 as Clem finds her new group coming across new faces and some old ones from a dark and disturbing past. If episode one of this new season was the introductory piece to the season story arc and characters then this episode generates tension and soon becomes explosive, intense and emotional. That is to say, this is one hell of a tense episode and the beauty here is that it’s not necessarily tense in terms of gore or violence although there is that. More so, there are riveting character interactions and feuds to solve that makes this story and particular episode quite engaging. When it comes to storytelling in video games, I believe Telltale Games are among the developers out there that are getting it near perfectly and with a great understanding of what works and what doesn’t most of the time. I say most of the time because there are moments featured here that plain just don’t work or cheapen a beautifully done moment that came before this point in time in season one. I’m being annoyingly vague, I know but it’s a big spoiler for the episode I just don’t want to ruin the moment. If Telltale keeps this character interaction fascinating and as tense as it was in this episode then us TWD fans are in for quite the treat. Especially with their other upcoming works The Wolf Among Us and a Game of Thrones adventure releasing in the near future.